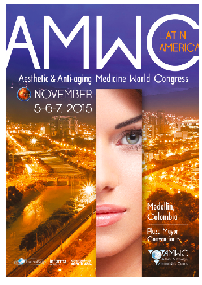 PRIME previews the 2nd AMWC Latin America, held in Medellin, Colombia on 6–7 November 2015, and the pre-congress advanced course on facial aesthetics on 5 November 2015. In cooperation with the international scientific board of the Aesthetic and Anti-aging Medicine World Congress (AMWC) Monaco event, and under the scientific supervision of the World Society of Interdisciplinary Aesthetic and Anti-aging Medicine (WOSIAM), the AMWC LA is dedicated to offering an outstanding program in line with a commitment to innovation, expertise, and excellence, sharing a wealth of experience as well as teaching skills from the experts. Based on the same principle as the AMWC’s hallmark Monaco event, the congress program is constructed around effective aging prevention and treatment. This is achieved by comprehensively addressing aesthetic strategies (dermatology and surgery) for the external appearance and applying preventive and anti-aging medicine for internal wellbeing. The congress offers a two day program covering over 24 scientific sessions and various practical workshops running concurrently in five conference rooms with simultaneous bilingual translation (English/Spanish). Directed by Drs Ali Pirayesh (Plastic Surgeon, Netherlands) and Luis Fernando Botero (Plastic Surgeon, Colombia), this one-day interactive course will present clinical and highly practical information on cadaveric anatomy, videos on ‘How I do it’, choice of products or devices, and how to avoid and manage complications. Different aesthetic treatment strategies and holistic understanding of the full-face approach will be presented and will take into account the different levels of expertise of the watching participants. Live injections will be performed by a team of internationally well-known experts. Under the direction of three scientific directors, Drs. 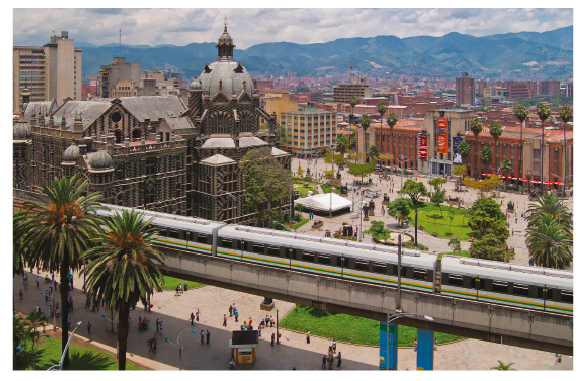 Luis Fernando Botero, Hernán Duque, and Alejandro Rada Cassab, the AMWC LA 2015 consists of a highly comprehensive and advanced program addressing all aspects of global aging management. 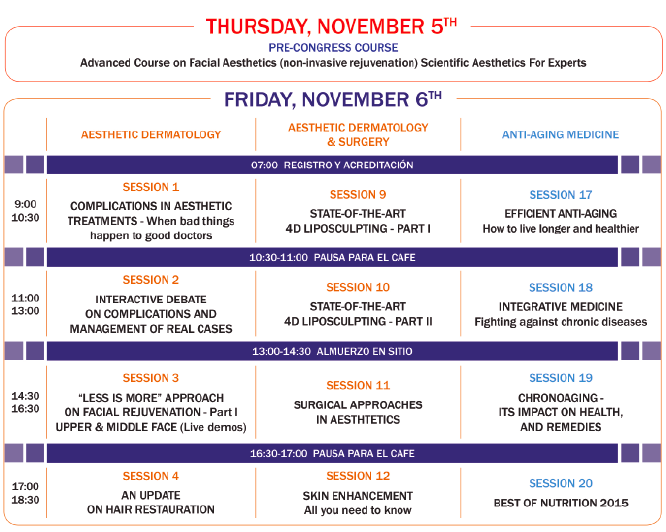 Aesthetic dermatology and plastic surgery: Raj Acquilla (UK), José Francisco Borja (Prof., Ecuador), José Manuel Castro (Mexico), Diane Duncan (USA), Fernando Felice (Argentina), John Martin (USA), Welf Prager (Germany), Frank Rosengaus (Mexico), Jorge Felix Silva (Argentina), and more. Anti-aging and preventive medicine: Julian Bayon (Spain), Ana Becerril (Mexico), Cristina Maggioni (Prof., Italy), Nicolas Wiernsperger (Prof., France), Patrizia d’Alessio (Prof., France), Arturo O’Byrne (Colombia), Efraín Olszewer (Pioneer of orthomolecular medicine, Brazil), and more. ng with an accompanying roundtable discussion. The audience will be actively involved in the discussion and interact through a voting system. The session, ‘Facial rejuvenation management with a “less is more” approach’ will cover the anatomy of the region as well as the techniques recommended by experts on each facial zone with live demonstrations. In these sessions, each expert has a mission to demonstrate how to rejuvenate and obtain the most natural looking results on the assigned patient/model. In everyday practice, to achieve good results, combinations of aesthetic treatment solutions are often required. The ‘Facial rejuvenation and combined techniques’ session will present advice, treatment planning, and choices by experts along with live demonstrations. Tips and tricks are presented beside reference techniques. The ‘State-of-the-art on 4D liposculpting’ session directed by Dr Alfredo Hoyos, a reputed Colombian plastic surgeon, will address liposuction, the evolution of 4D technology, its associated techniques, and the future. 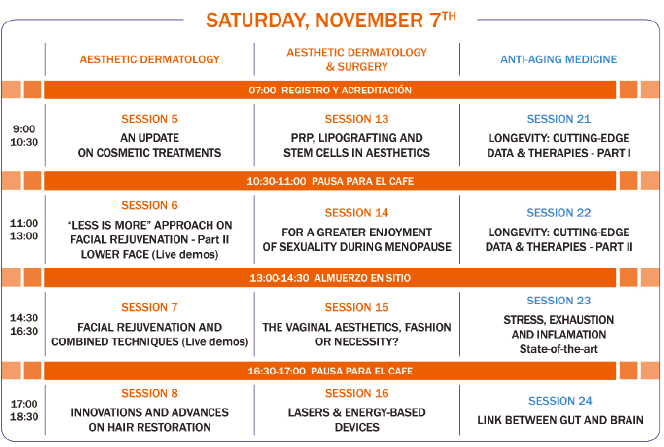 The subjects related to cosmetic gynecology will be addressed in two successive sessions, ‘For a greater enjoyment of sexuality in menopause’ and ‘Vaginal aesthetics, fashion or necessity?’ Constructed by two expert-gynecologists, Adrian Gaspar (Argentina) and Juan Fernando Bojanini (Colombia). The program consists of a panel of invited specialists, including a gynecologist, oncologist, urologist, sexologist, and psychologist who will share experiences and discuss the challenges faced in treating vaginal atrophy conditions with the current available treatments, as well as recent technological advances. Unique in content and format, the session is designed to address the trends from the specialist’s point of view. The participants will have the opportunity to interact with the panelists. Each speaker will present their input to the questions and debates raised by leading specialists. Lecture presentations will correspond to these questions allowing the participants to gain a greater insight. 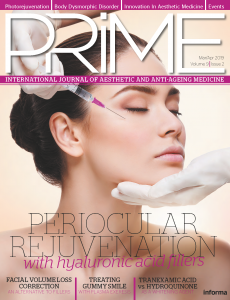 Moreover, rejuvenation strategies with skin enhancement, platelet rich plasma (PRP), stem cells, and fat grafting as well as mesotherapy and surgical approaches in aesthetics will be treated in dedicated sessions from clinical evaluation to different conventional and advanced treatment strategies. Innovations and advances in hair restoration and surgical approaches in aesthetics will be also addressed, along with the use of lasers and other energy-based devices. 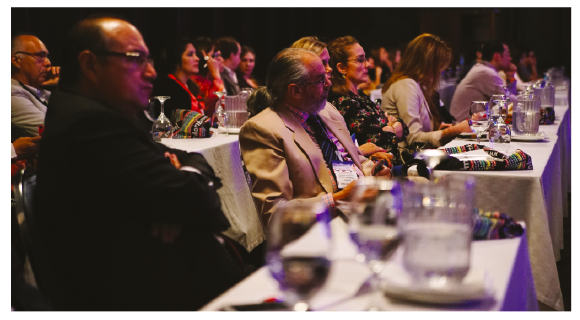 Educational sessions focused on the effective and safe use of anti-aging medicine represent an important part of the AMWC LA 2015. Under the close guidance of Drs Alberto Kopec, Juan Carlos Echeverri, and Edwin Bendek, the sessions focus on the latest information and new anti-aging approaches. Two sessions on ‘Longevity: cutting-edge data and therapies’ will address the latest information presented by leading experts from Latin America on thyroid dysfunction, cardiosenescence, and cardiovascular risk factors. olved in chronodisruption and its impact on an individual’s health. A session on ‘Stress, fatigue and inflammaging’ covers the essential related factors and disorders. The ‘Gut-brain link’ session will present the latest information on these two non-separable entities. Important and direct links have been demonstrated between bacteria in the gut and the immune system, as well as with the brain. Amazing medical discoveries related to potential rejuvenation, such as new molecules and ‘miracle’ components found in blood, will be presented and discussed. 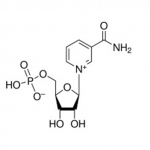 Talks on advanced glycation end-products (known as AGEs), subjects of ongoing research and considered to be a factor in the development or worsening of many degenerative diseases, will also be presented. Over 80 leading international companies, showcasing on the 700 m2 exhibition space, will be waiting for you to discover their latest products, technologies, and services to be launched onto the market at the AMWC LA 2015. Numerous workshops, including live demonstrations, and promotional and educational information regarding products, devices, and treatment techniques will also be available. 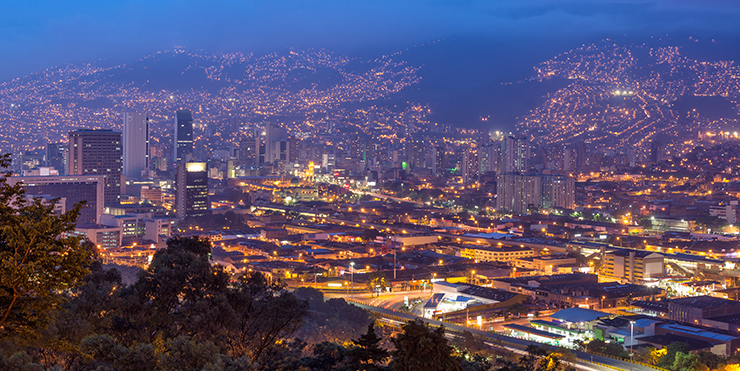 Beyond the scientific and educational exchanges, you will find this congress an excellent forum for information on the state-of-the-art technology on the market, making your visit to Medellin worthwhile and rewarding.